What they don't know is that this world is not what we think it is. 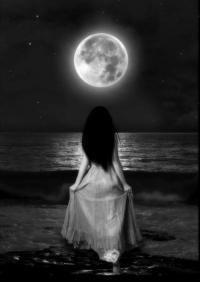 When the glow of a full moon falls on us, like a shower of dark beauty, it also is a call for them. Them, living among humans, walking around people. Nobody can imagine that the good-looking people are the most dangerous ones. Always silent and reserve but with a mysterious unknown force that pulls us in. That force will also reveal itself when the first ray of full moon rises in the dark skies. Their beauty turns them into what they really are. Fearful monsters hiding in the pitch darkness of the woods. This hidden world of the night that holds the door to their true form.